This is the first of many G2 MOCS I have already posted on my Twitter account (@CyclonatorZ). They are part of a G2 headcanon I have devised that throws out basically everything written by a third party (so, yeah, pretty much everything other than the shorts. ), and also changes or expands upon many other story elements. 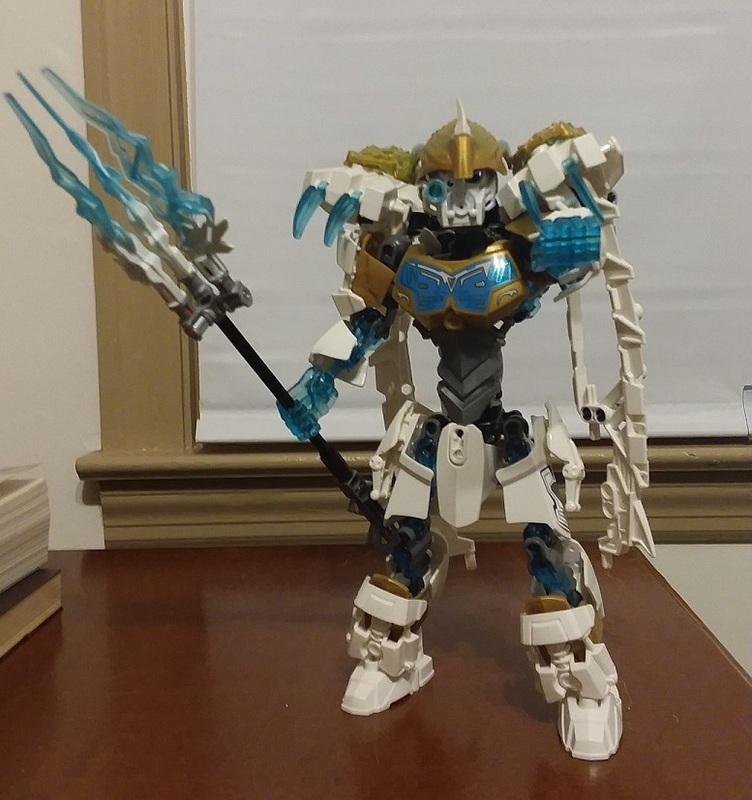 My Kopaka is based heavily on the Warcraft character Jaina. I got the inspiration from the massive shoulder pads both Kopaka Master and Kopaka Uniter with Ketar have.